The PA Department of State has mandated that all counties in PA replace older voting machines by 2020 with new machines with auditable paper records. The Danaher voting machines which Bucks County has used for the last 13 years are past due for replacement. But more importantly, they do not provide a paper record that can be used for recounts. For nearly 100 years, the non-partisan League of Women Voters has studied public policy issues in order to educate and inform the public and our elected representatives. 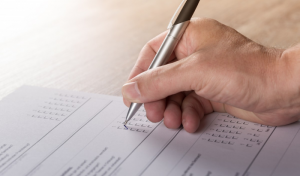 Following this tradition, the League of Women Voters of Bucks County researched and studied voting systems so that we could provide an informed opinion to the Commissioners prior to the decision to select and purchase a new voting system. We concluded, along with cyber-security experts across the nation, that the use of paper ballots hand-marked by the voter, combined with regular audits (preferably risk-limiting audits), is the most secure means for reducing cyber-threat to our elections. systems that electronically record the voter’s intent. The League also supports routine audits, preferably risk-limiting, of the paper ballot/record in randomly selected precincts that are conducted in every election, with the results published by the jurisdiction. Risk limiting audits provide statistical assurance that election outcomes are correct by manually examining portions of the audit trail—paper ballots or voter-verifiable paper records. Currently Pennsylvania requires that the county board select a random sample of at least 2% of the votes cast, or 2,000 votes, whichever is less. There is no statutory guidance whether audit results are binding on official results nor is there any statutory guidance for additional targeted samples. machines and we look forward an open and transparent process for selecting our new machines.